Paul Dirac was sort of the Ernest Hemingway of physics, only better. Both his equations and his prose were as tight, spare and to the point as Hemingway. But unlike the delightfully rough-hewn storytelling of Hemingway, Dirac's creations were, in Freeman Dyson's words, "like perfect mathematical sculptures falling from the sky". While his elegant mathematics captivated other scientists and inspired awe, his translation of mathematical precision to his English could frustrate and baffle. Dirac often answered in monosyllables, often did not understand metaphor and spoke only when he felt like. There was a logic behind this behavior that was hard to dispute though; as he pithily put it, "There are always more people willing to talk than to listen." But while everyday conversation with him could be difficult, the application of his principles of language to his "Principles of Quantum Mechanics" was a spectacular success. Even today the book stands as the simplest and clearest account of quantum theory written by one of its master founders. Like Mozart, the text contains no fewer and no more words than are necessary for a proper exposition and even non-scientists should read the first chapter. Einstein himself cherished his copy, and whenever he needed to look up a technical point would mumble, "Where's my Dirac?" In fact Dirac regarded the book as his last word on quantum theory, so much so that he used to literally read from it in class. The power of Dirac's language to strip away the inessentials and cut through the fog like a diamond is illustrated in a delightful little book that I recently came across. Titled "From a Life in Physics", it is a collection of talks given at the International School of Theoretical Physics at Trieste in Italy in 1968. The collection features talks by some of the true heavyweights of 20th century physics - Hans Bethe, Dirac, Werner Heisenberg, Eugene Wigner, Oskar Klein and Evgeny Lifshitz. All the essays are highly readable but not surprisingly, the clearest and most elegant one is by Dirac. In it he essentially tells us how a theoretical physicist thinks and works: "I shall attempt to give you an idea of how a theoretical physicist works - how he sets about trying to get a better understanding of the laws of nature". Dirac immediately cuts to the chase. He tells us that there are two main procedures by which a theoretical physicist operates. "One is to work from the experimental basis, and for this you must keep closely in touch with the experimentalists. The other is to work from the mathematical basis". How do you work from the mathematical basis, exactly? "One examines and criticizes the existing theory. One tries to pinpoint the faults in it and then tries to remove them. The difficulty here is to remove the faults without destroying the great successes of the existing theory." Immediately here Dirac has hit on the essential formula followed by most successful theoretical scientists. The examples are well-known by now: Einstein invented relativity while preserving the success of Newtonian mechanics. 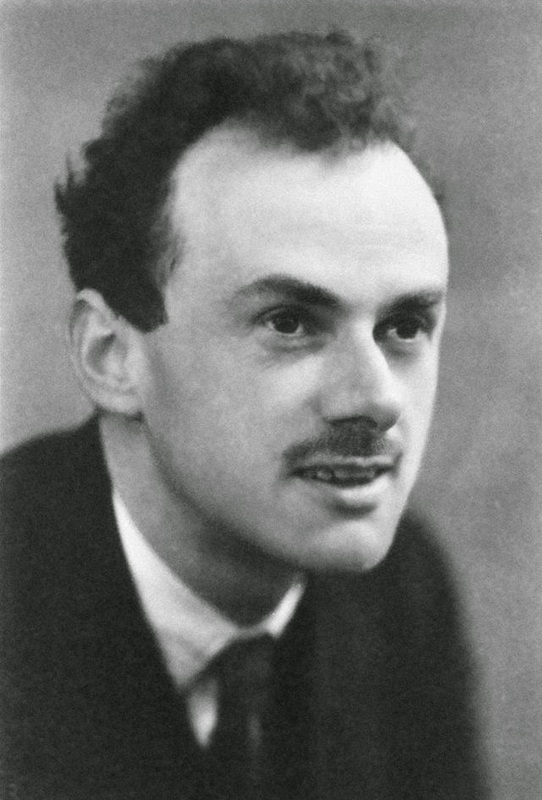 Dirac himself was part of a revolution that invented quantum mechanics while preserving classical mechanics. The resolution of discrepancies led to scientific revolutions. The first procedure is also well known; for instance spectroscopists built a theory of atomic spectra based on a huge amount of experimental data. "Which procedure one follows depends largely on the subject of study. For a subject about which very little is known, where one is breaking new ground, one is pretty well forced to follow the procedure based on experiment. In the beginning, for a new subject, one merely collects experimental evidence and classifies it". As an example Dirac accurately notes the development of the periodic table; at first we could only build up a collection of facts based on existing data, but then it became possible for a brilliant scientist like Mendeleev to actually make predictions based on these facts. On the other hand, when the experimental evidence is well-established, then the theoretician can proceed to organize it in an overarching theoretical framework. Here a striking new criterion enters the game, and no other physicist used it as fruitfully. It is beauty. "With increasing knowledge of a subject, when one has a great deal of support to work from, one can go over more and more towards the mathematical procedure. One then has as one's underlying motivation the striving for mathematical beauty. Theoretical physicists accept the need for mathematical beauty as an act of faith. There is no compelling reason for it, but it has proved a very profitable objective in the past. For example, the main reason why the theory of relativity is so universally accepted is its mathematical beauty." I would actually disagree with that last statement: The main reason why the theory of relativity had been so well accepted by 1968 was because of its unerring agreement with experiment. But in Dirac's words you can clearly see the tortuous path that a theoretical physicist exploring a new field treads; he is unsure of the exact direction, and since beauty can often be subjective, he always runs the risk of losing his way and falling into a deep abyss. Only a mind as confident and accomplished as Dirac's can navigate this labyrinthine maze. "The moral of this story is that one should not try to accomplish too much in one stage. One should separate the difficulties in physics one from another as far as possible, and then dispose of them one by one". Wise words, not just for physicists but for everyone. "One should always guard against getting too attached to one particular line of thought". The rest of the essay concerns the theory of quantum electrodynamics. Dirac was never happy with QED since its artificial cutoffs and the procedure of renormalization did not fit with his notion of beauty and elegance. As he characteristically put it: "In mathematics one rejects a quantity because it is very small, not because it is too large and one does not want it". As far as I know, QED and other related theories are still based on the same principles, and Dirac probably wouldn't have been any happier with them today than what he was then. "The laws of nature should be expressed in beautiful equations." Many consider the Dirac equation the most beautiful equation in physics. That does not seem to be a universal sentiment but I think it is wonderful that the equation is memorialized in a slate tile in Westminster Abby near the memorials to Newton and Darwin. Dirac is however buried in Tallahassee, Florida. I have added “From a Life in Physics” to my reading list. Thanks for the post Ash! The Dirac equation is indeed a prime candidate for "most beautiful equation in the world". When I visited London I made it a point to visit Dirac's memorial in Westminster Abbey, along with Darwin and Newton's graves. "The moral of this story is that one should not try to accomplish too much in one stage. One should separate the difficulties in physics one from another as far as possible, and then dispose of them one by one." I suspect Dirac would have been another casualty of today's graduate school system. Hope yours is going well too! Sir, your essay is beautiful too, thank you very much. And " I think at least the first part of the essay should be required reading for beginning students in science." " I think at least the first part of the essay should be required reading for beginning students in science." And this article, also.